Comment: Furnace isn't working properly and need it fixed asap. Comment: I recently bought a home. The house has been foreclosed for a couple of years now. Seller only indicated that the furnace was ânot workingâ. I need to have someone check it out and have it repaired so it can meet the repairs necessary for the bankâs repair escrow. Comment: PLEASE DO NOT CALL EMAIL ONLY PLEASE. Just purchased a new ecobee 3 lite and need it installed along with power extender kit. Comment: Just purchased a new ecobee 3 lite and need it installed along with power extender kit. Comment: I would like to hire a professional to come out and install an Ecobee Thermostat. I need one thermostat installed. I have a furnace heat source and I will need a 'C' wire for installation purposes. Hillside Heating & Furnace Contractors are rated 4.73 out of 5 based on 2,449 reviews of 28 pros. 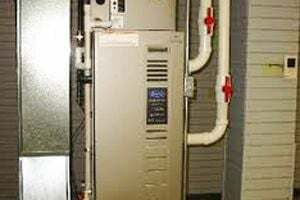 Not Looking for Heating & Furnace Systems Contractors in Hillside, IL?